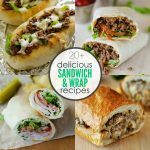 Turkey Ranch Club Wraps make for a quick and easy lunch or dinner! 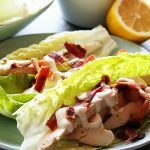 They’re filled with turkey, bacon with ranch dressing and taste like a million bucks! 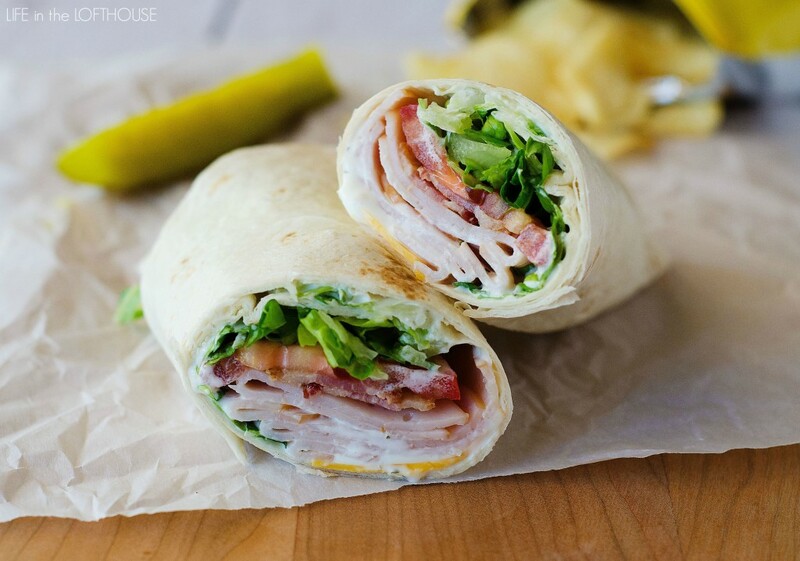 These Turkey Ranch Club wraps are probably our fave. They’re so great for lunch or dinner, and taste like a million bucks. 🙂 Filled with sliced turkey, bacon, cheese, and of course ranch dressing. They’re so delicious and satisfying. 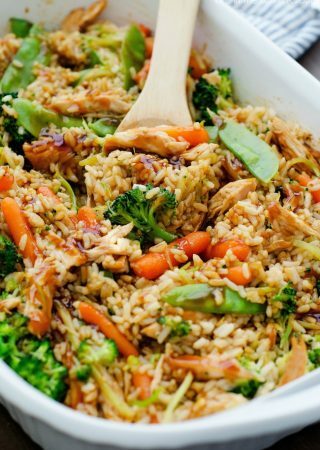 A great way to feed hungry bellies without turning on the oven! 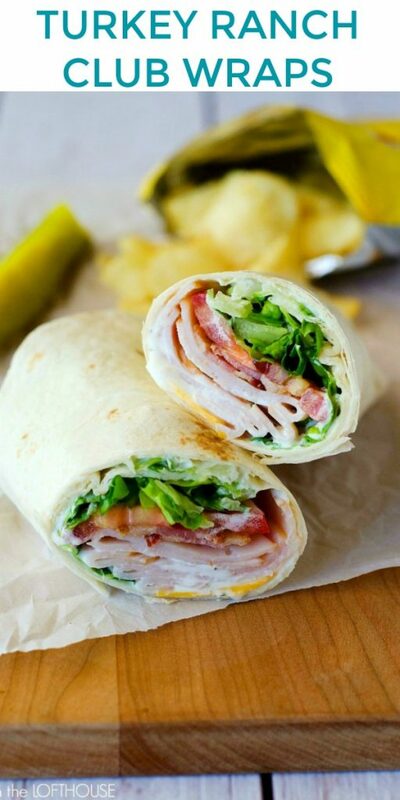 A delicious wrap filled with turkey, bacon, cheese and ranch dressing! Lay tortillas out on a clean flat surface. Spread 2 to 3 Tablespoons of ranch dressing onto each tortilla. Top dressing with 4 slices turkey. 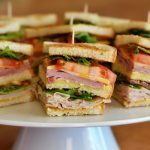 Top turkey with 2 slices bacon and one slice cheese. Add a little lettuce and tomato. Fold in ends of tortilla up over fillings, then fold up burrito-style. Slice in half and serve. Enjoy! 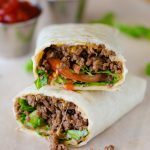 *I like to use the pre-cooked bacon then warm in microwave before adding to the wraps. Looks so tasty. 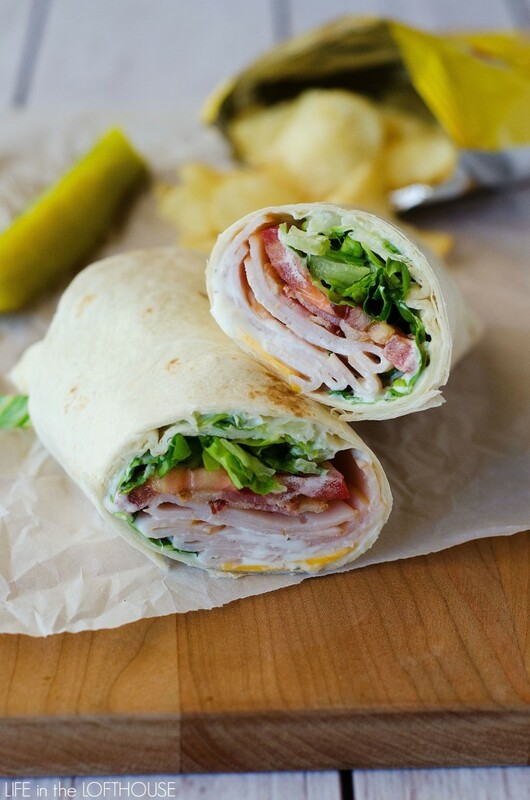 My mouth is salivating just looking at your gorgeous photo. 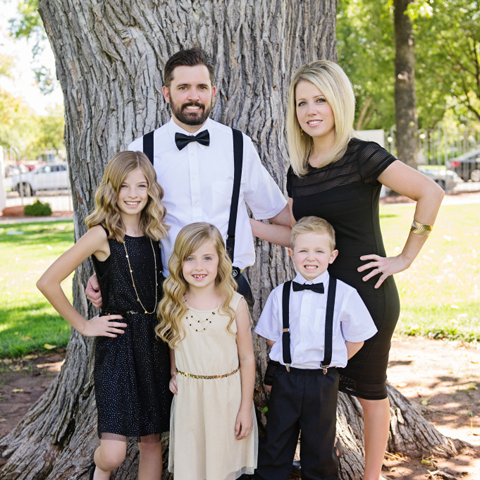 Great looking family!!! I used half a slice of real fired bacon and it took the wrap over the top!!!! 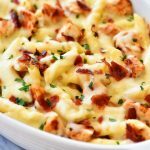 Could you make these up ahead of time, for example make on Sunday for the upcoming week? Thanks! I make these all the time but I also spread cream cheese on the tortilla! What brand of turkey do you use? I either use fresh turkey slices from the deli, or Hillshire Farm brand.